Movies At Dog Farm : Odium: Vindicta Trailer Debuts Soon, Proper Contact Information On Movies At Dog Farm To Follow . 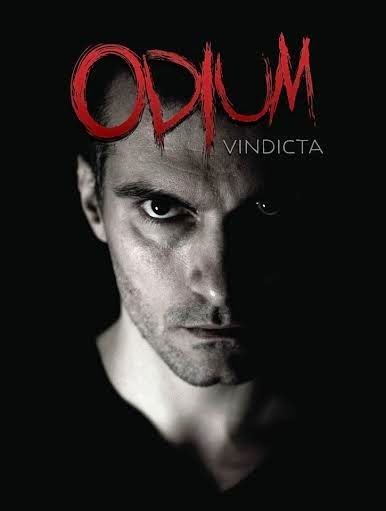 . .
Odium: Vindicta Trailer Debuts Soon, Proper Contact Information On Movies At Dog Farm To Follow . . .
A member of the team producing the forthcoming web series Odium: Vindicta sent me a very polite email asking if I might share the following press release. He also pointed out that I had no contact information posted anymore, save for the email address I have listed for take down requests. I'll correct that error of omission soon. In the meantime, here's the press release, because a polite request and a useful observation earns a plug. The production team at BBL Entertainment is proud to present the screening of the first official trailer of the upcoming web series Odium: Vindicta at 247 Sky Bar, Indianapolis, Indiana on February 21, 2015 at 6:00 pm. Saul Harris is a new resident in the idyllic, all American small town of Manesville and with him comes a darkness that will sweep over the unsuspecting community and change it forever. Saul's past is the stuff of nightmares and even though he's been trying to leave it behind, the past has a way of catching up and when it does, the nightmares will be unleashed. But Saul isn't the only one with dark secrets and his actions will cause a ripple effect that brings to light the malevolent things lurking just behind the perfect facade of Manesville's upper echelons. The upcoming web series Odium aims to re-invent and re-invigorate the indie horror scene. It combines elements of psychological thriller, slasher cinema and Hitchcockian twists in an original story of epic scale. It will follow Saul's journey to deal with his past and his struggle to calm his troubled, damaged mind and find something resembling peace and normalcy. It will explore the disturbing actions and decisions of some of Manesville's prestigious, wealthy inhabitants, as they are being pushed to the edge by the gruesome murders that start to happen and trap the town in fear and panic. It will observe the police investigators, as they are trying to put the pieces together and understand what is happening in their town. And most of all it will draw the audience into a story where things are not what they seem and where the lines between good and evil are always blurred. The trailer will be the centerpiece of the event Artistic Impressions. The purpose of the event is to make the public aware of BBL's artistic endeavors and productions and it will include samples of the work of Indianapolis based paranormal investigators ParaSisters, photographers Vanessa von Rouge and Gary Nelson and Chicago based designer extraordinaire Ramsey J. Prince. Sounds and tunes will be provided for your listening pleasure by local DJ Killa Cam and comedian Thomas McDaniel will MC the event and give guests a sampling of his comedy set. The proceeds of the event will be used to secure funding for the continued production of Odium and to support the local charity A Giving Tree. Admission to the event is $10 or guests can bring a non perishable food item to donate for a reduced admission of $7 ($3 discount). Admission: $10 regular, $7 with food donation. I'm a sucker for "Small towns with a terrible secret" type of stuff! Could be cool!